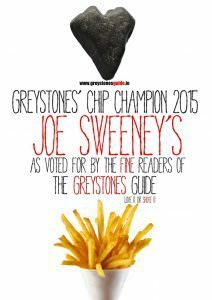 It was clear from very early on when we went in search of Greystones Chip Champion 2015 who the winner was going to be. 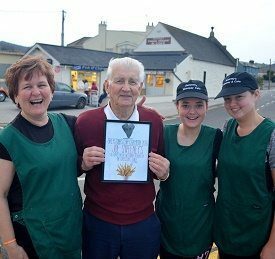 Even though we had included all the bars, restaurants, venues, cafes and assorted other eateries in the town, it was perhaps inevitable that a chipper would win. 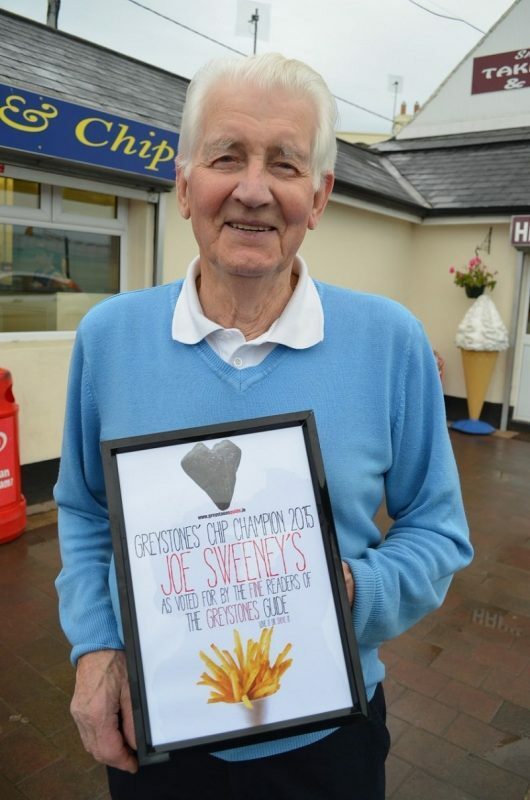 And when you think Greystones chipper, well, for most people, that means Joe Sweeney’s. Sure, the man was born, bred and battered down by the harbour. 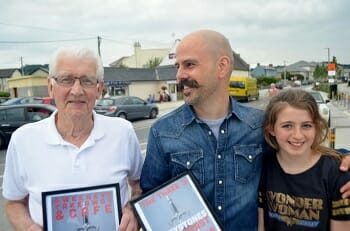 And let me tell you, good people of Greystones, winning the Greystones Chip Champion 2015 actually put a great big smile across Joe Sweeney’s face. So, consider yourself fortunate to have achieved such a feat in your lifetime. In fact, consider yourselves borderline miracle workers. 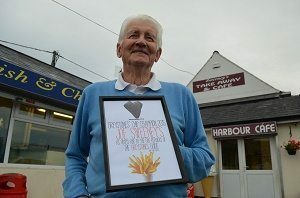 The whole Sweeney clan – well, the ones who weren’t camera-shy, that is – were down at the Harbour Cafe today, as Joe posed for his close-up outside. For daughter Aileen and granddaughter Rachael, the pull of the spotlight was too great, and they soon came outside to join him. There was much hootin’ and hollerin’ involved, and rightly so. Me mate Dave and I sat down to some fish and chips afterwards, and, bejiggers, I had to be helped to my car afterwards. The fish of the day is haddock, and if you haven’t had your dinner yet – or you just feel like seconds – I’d advise you to head down to Joe’s right now. Congrats again to Joe and all the family. 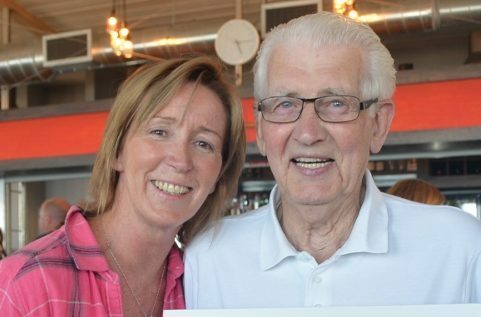 The fish and chips obviously work; Joe is looking pretty damn amazing for 83! 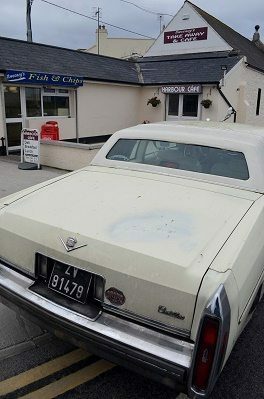 We’ll be charging up the Randomizer 3000 later today to see which lucky voter has won a slap-up meal for two down at the town’s favourite chipper, and announce the winner tomorrow. Hit the cert, left, for more info on Joe’s historic win. 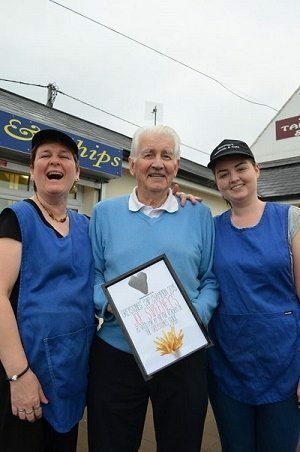 And click here for Joe’s happy-go-lucky thoughts on Greystones. Hey, Joe, Where You Goin’ With That Award In Your Hand…?